Hydroxyurea is an anti-cancer (“antineoplastic” or “cytotoxic”) chemotherapy drug. Hydroxyurea is classified as an “antimetabolite.” (For more detail, see “How Hydroxyurea Works” section below). Refractory ovarian cancer (ovarian cancer that has not responded or progressed after standard therapy). 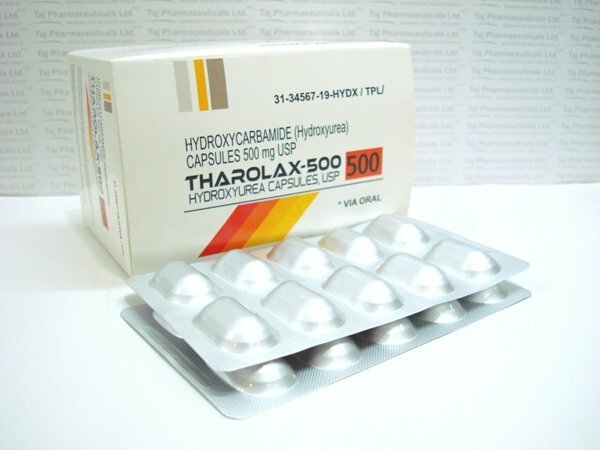 Hydroxyurea is a pill, taken by mouth. Take Hydroxyurea exactly as prescribed. Hydroxyurea may be dissolved in water. The amount of Hydroxyurea that you will receive depends on many factors, including your height and weight, your general health or other health problems, and the type of cancer or condition being treated. Your doctor will determine your dose and schedule. The side effects of Hydroxyurea and their severity depend on how much of the drug is given. In other words, high doses may produce more severe side effects. Recovery: within 7-10 days of stopping therapy (reversal of white blood count occurs rapidly, but the platelet count may take 7-10 days to recover). Darkening of the skin where previous radiation treatment has been given. (radiation recall – see skin reactions). Your fertility, meaning your ability to conceive or father a child, may be affected by Hydroxyurea. Please discuss this issue with your health care provider. Before starting Hydroxyurea treatment, make sure you tell your doctor about any other medications you are taking (including prescription, over-the-counter, vitamins, herbal remedies, etc.). Do not take aspirin, or products containing aspirin unless your doctor specifically permits this. Do not receive any kind of immunization or vaccination without your doctor’s approval while taking Hydroxyurea. Inform your health care professional if you are pregnant or may be pregnant prior to starting this treatment. Pregnancy category D (Hydroxyurea may be hazardous to the fetus. Women who are pregnant or become pregnant must be advised of the potential hazard to the fetus). For both men and women: Do not conceive a child (get pregnant) while taking Hydroxyurea. Barrier methods of contraception, such as condoms, are recommended. Discuss with your doctor when you may safely become pregnant or conceive a child after therapy. Do not breast feed while taking Hydroxyurea. People who are not taking Hydroxyurea should not be exposed to it. If powder from a capsule spills, it should be wiped with a damp disposable towel, placed in a plastic bag, and discarded. Hands should be washed thoroughly. You may be at risk of infection so try to avoid crowds or people with colds and those not feeling well, and report fever or any other signs of infection immediately to your health care provider. Hydroxyurea causes little nausea. But if you should experience nausea, take anti-nausea medications as prescribed by your doctor, and eat small frequent meals. Sucking on lozenges and chewing gum may also help. You will be checked regularly by your health care professional while you are taking Hydroxyurea, to monitor side effects and check your response to therapy. Periodic blood work to monitor your complete blood count (CBC) as well as the function of other organs (such as your kidneys and liver) will also be ordered by your doctor. Cancerous tumors are characterized by cell division, which is no longer controlled as it is in normal tissue. “Normal” cells stop dividing when they come into contact with like cells, a mechanism known as contact inhibition. Cancerous cells lose this ability. Cancer cells no longer have the normal checks and balances in place that control and limit cell division. The process of cell division, whether normal or cancerous cells, is through the cell cycle. The cell cycle goes from the resting phase, through active growing phases, and then to mitosis (division). Chemotherapy is most effective at killing cells that are rapidly dividing. Unfortunately, chemotherapy does not know the difference between the cancerous cells and the normal cells. The “normal” cells will grow back and be healthy but in the meantime, side effects occur. The “normal” cells most commonly affected by chemotherapy are the blood cells, the cells in the mouth, stomach and bowel, and the hair follicles; resulting in low blood counts, mouth sores, nausea, diarrhea, and/or hair loss. Different drugs may affect different parts of the body. Antimetabolites are very similar to normal substances within the cell. When the cells incorporate these substances into the cellular metabolism, they are unable to divide. Antimetabolites are cell-cycle specific. They attack cells at very specific phases in the cycle. Antimetabolites are classified according to the substances with which they interfere. Hydroxyurea is a ribonucleotide reductase inhibitor. Note: We strongly encourage you to talk with your health care professional about your specific medical condition and treatments. The information contained in this website is meant to be helpful and educational, but is not a substitute for medical advice.How Hydroxyurea Works? Hydroxyurea is an anti-cancer (“antineoplastic” or “cytotoxic”), for Sickle Cell Disease – Taj Dearob Pharma | Hydroxyurea is an anti-cancer (“antineoplastic” or “cytotoxic”) chemotherapy drug. Hydroxyurea is classified as an “antimetabolite.” (For more detail, see “How Hydroxyurea Works” section below). How Hydroxyurea Works? Hydroxyurea is an anti-cancer (“antineoplastic” or “cytotoxic”), for Sickle Cell Disease – Taj Dearob Pharma | Hydroxyurea is an anti-cancer (“antineoplastic” or “cytotoxic”) chemotherapy drug. Hydroxyurea is classified as an “antimetabolite.” (For more detail, see “How Hydroxyurea Works” section below).